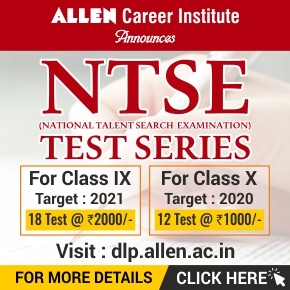 Students of ALLEN’s GATE Online Test Series yet again proved their excellence in the consecutive year of its launch. 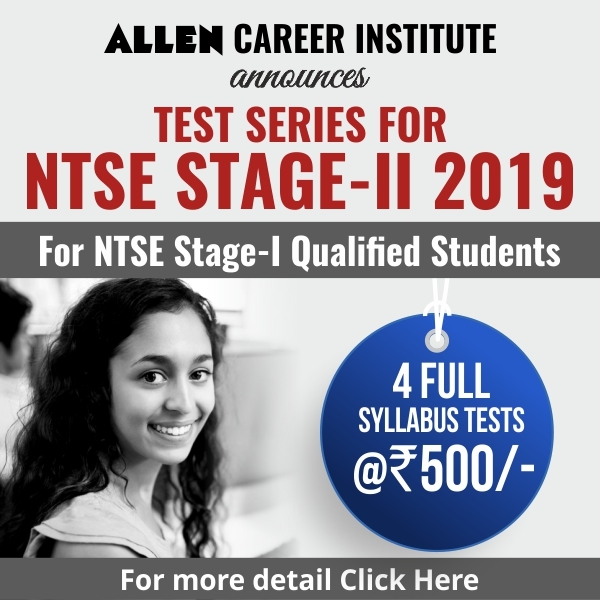 According to Director Shri Naveen Maheshwari, Four students successfully acquired positions amongst the top 100 in GATE 2019. From Computer Science stream, Kartavya Kothari bagged AIR- 45, Mohd. Kaushif Khan secured AIR 60. Similarly, in Electronics Engineering, Gaurang Mishra bagged AIR 60 and in Metallurgy & Material Engineering, Mantosh Mandal secured AIR 75 respectively, as per the results announced by IIT Madras. Including them 14 students were successful in grabbing Ranks amongst Top 500 with AIR- 45, 60, 60, 75, 132, 211, 240, 276, 330, 330, 360, 478, 489, 498 respectively. 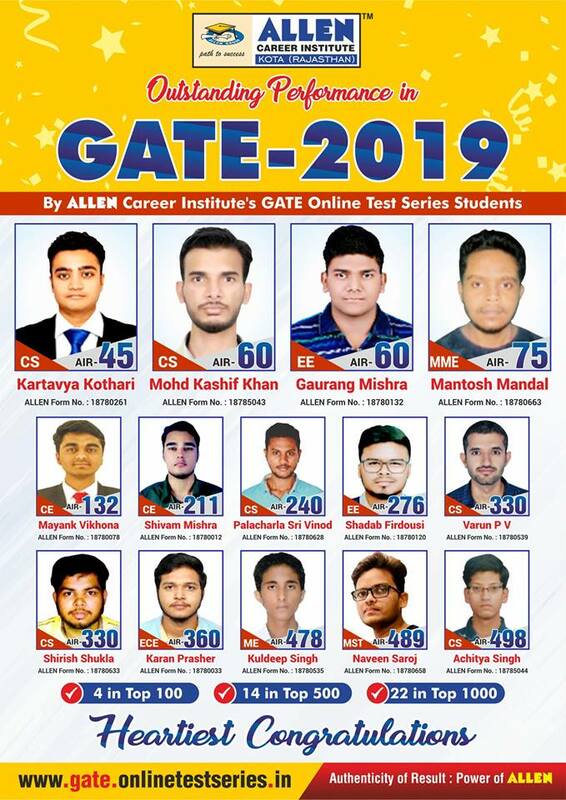 A total of 22 students of ALLEN’s GATE Online Test Series have bagged positions amongst the Top 1000 students of the Country on the basis of their performance as per the Results Compiled so far. 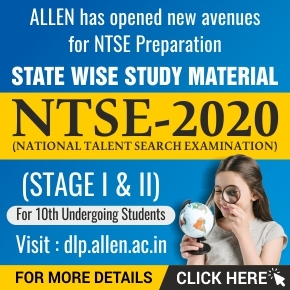 Graduate Aptitude Test in Engineering (GATE) is a national level examination that tests the comprehensive understanding of the candidates in various undergraduate subjects in Engineering/Technology/Architecture and postgraduate level subjects in science. The GATE score is used for admissions to post-graduate programs (e.g. M.E, M.Tech, direct Ph.D.) in Indian institutes of higher education with financial assistance provided by MHRD and other Government agencies. The score is also used by many Public Sector Undertakings for employment screening purpose. 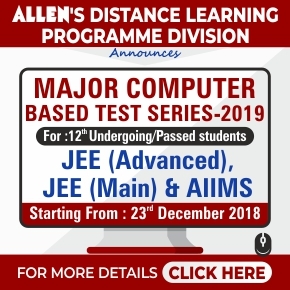 GATE 2019 exam was conducted on 2, 3, 9, and 10 February 2019 through Online Mode at several centers all over India. Know more about the GATE Online Test Series here !